GAR Article: GAR Live Atlanta Lookback – is the US Federal Arbitration Act up to the demands of the modern world? GAR Live Atlanta Lookback – is the US Federal Arbitration Act up to the demands of the modern world? 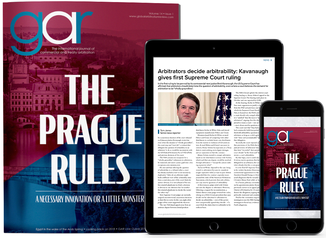 The US Federal Arbitration Act is now more than 100 years old, but it has required more than a few judicial running repairs. Would it be more sensible, at this point, to consider a complete overhaul – a whole new law? After all, the world has moved on and such ready-made versions are available.